Suffocating cities, the AI lawyer, digital currency dividends and other top stories from the last seven days. 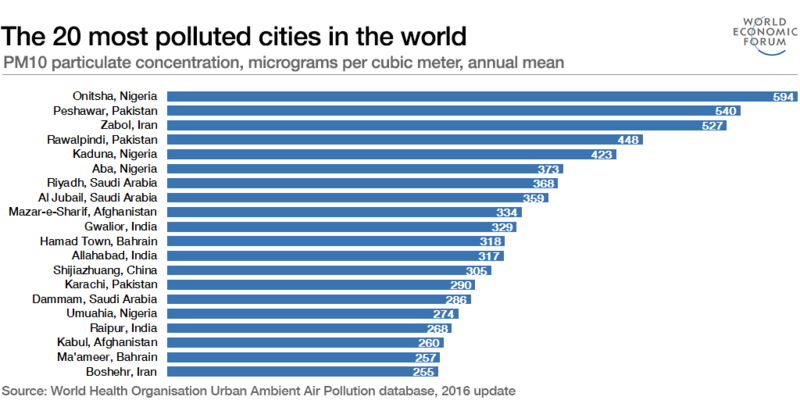 How polluted is your city? The threat to health is worsening in many . Free Africa’s airlines. Open skies would lead to jobs and growth. Driverless cars aren’t just about transportation. Here are five other reasons city mayors want them. Tax havens are keeping Africa poor. We need global solutions . You have blind spots. Here’s how to compensate for them. Digital currencies could be with us soon. They promise greater financial inclusion and new sources of growth . What do millenials want? It’s actually quite simple . Brexit would damage the U.K.’s security. Why Britain needs allies in Europe . A US law firm has hired an artificially intelligent lawyer. Ross uses cognitive computing to comb through bankruptcy case law. Where has economic growth gone? There are headwinds, but also a lot we can do to grow faster. Social mobility may be a myth. A new study challenges traditional ideas about transmitting socioeconomic status across generations. Financial instability is a threat for China. Policymakers need to act soon to address the surge in debt.